It’s a real pleasure for me to introduce you to today’s guest writer, Beth Gainer, author of Calling the Shots: Coaching Your Way Through the Medical System. The idea of writing my book – Calling the Shots: Coaching Your Way Through the Medical System – came to me during a difficult time in my life. At that time, I was fighting to get a preventive double mastectomy with reconstruction, a reasonable medical decision in a unreasonable US healthcare system. Rewind to a few years before: I had caught my own breast cancer shortly after a mammogram and doctor’s breast exam had missed it. I insisted that the dimple on my right breast be investigated further. He said it probably was nothing. It turned out to be cancer. Now, a few years later, I was in a battle to have my breasts removed. An MRI had showed something suspicious in the previously affected breast. Although it was scar tissue, I decided enough was enough. I was tired of all the scares and my dense breasts that would someday cause me to slip through the medical cracks. I would take my own medical destiny in my own hands by getting a preventive double mastectomy for my own physical and mental health – and for the sake of a child I had yet to adopt. My friends tell me I am the most persistent person they know. And they are right: my advocating for myself paid off, as the surgery and the out-of-network doctors were approved and 100 percent covered. It took me nearly a year, though, to get this 10-hour life-saving surgery. I had excellent, kind doctors from whom I achieved buy-in, but other physicians disagreed with my decision and seemed bent on putting obstacles in my path toward wellness. In addition, many doctors and administrators mistreated me. One surgeon mocked me when I disagreed with his breast-conservation plan. Various “professionals” in the medical arena made me feel anguish, humiliation, panic, terror, and sorrow. When I hit hurdles, I cried. It’s no wonder, then, that I felt like giving up on my goal of a double mastectomy with reconstruction. But I somehow summoned enough courage each day to see yet another doctor, get yet another opinion, or be abused by yet someone else in the medical profession. I navigated the healthcare system the best I could, even though I was scared, lonely, and angry – and sometimes unsure of how to accomplish my goal. I wished for a brief guidebook for navigating the medical system. And that was how the concept for my book was born. I figured that if a persistent, tough person like me was having difficulty with the healthcare system, surely many other people would just rather give up than speak up. Calling the Shots: Coaching Your Way Through The Medical System encourages readers to speak up. It covers self-advocacy topics such as hiring and firing doctors, as well as how to get what one needs from medical administrators. I wanted to inspire patients to persevere to get what they needed even within the confines of a confusing medical maze. But thinking about writing a book is easy; actually doing so is difficult and daunting. Kind of like navigating the healthcare system, come to think of it. Many times I almost gave up on the book. It was too difficult to write, I reasoned. And it was challenging, not just in the craft of writing, but in the unexpected painful memories that would flood my spirit. I tearfully relived many medical traumas. I never realized that writing a book would make me feel so vulnerable. Then I reminded myself of the book’s purpose – to help others. And that helped me re-commit to the work at hand. As I worked painstakingly through each draft, often wanting to give up, I could not help but think about how often I almost gave up on my goal of life-preserving surgery. Getting to the operating room on my terms was difficult to execute. So was writing a book. The inner turmoil of coping with doctors’ negativity paralleled the inner turmoil over crafting such a personal piece of work. Yet I tapped deep within my persistence bank to see my book to completion. I had to commit to the book again and again, never losing sight of my dedication to the readers who would benefit from it. If I could help just one person advocate for him or herself, all this labor would be worth it. As I wrote, I re-learned that, in life, it’s alright to feel like giving up, but one must persist and move on. A person can trip over a hurdle, but he or she is obligated to get back up. And that is what I did, word by word, page by page. And I completed the book. But I cannot rest on my laurels; I must forge on. I am writing a book proposal and am looking ahead to the challenging task of finding an agent and a publisher. And I am committing to myself to getting my book published. And I am confident that my persistence will carry me through this process. 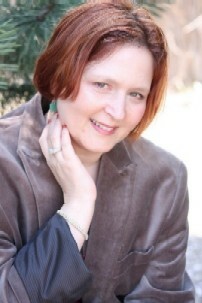 Beth L. Gainer is a professional writer who has published numerous academic and magazine articles, as well as an essay on her breast cancer experience in the anthology Voices of Breast Cancer by LaChance Publishing. She writes a medical-related blog, Calling the Shots, at bethlgainer.blogspot.com. She can be contacted at bethlgainer@gmail.com. Good for you, Beth! I really admire your persistence. I love the idea that you can feel discouraged but mustn’t stay there. This reminder comes at just the right time for me, so thank you! I really enjoyed reading this Beth, and with great serendipity, I am writing an article on this very topic of persistence for another publication. What I’ve written so far really bears out what you have said here about persistence. Time and again you will find that persistence is one of the most important characteristics that successful people share. Most of us stop when we hit a road block on our route to success. It is so much easier to give up when our dreams fail to materialize, or when someone close to us tells us to give up because our goals are impossible to reach. Only a few determined people have the persistence to keep moving forward towards their dreams. Thanks for inspiring us with your story Beth. It’s like Thomas Thomas Edison, once famously said of his persistence in inventing the light bulb “I have not failed. I’ve just found 10,000 ways that won’t work” – this quote is one of my guiding lights as I too pursue my own dreams in life. I am not writing a book, but I am pursuing a dream of another nature, and your post was just what I needed to read today, as my confidence is fading a little this month. I love your honesty and vulnerability mixed with your determination and tenacity – very motivational for many of us who read this today Beth. Beth, I admire your perserverance. It’s true, if we don’t advocate for ourselves, who else will? Your story reminds me of adoption. It’s very similar, isn’t it? Hurdle after hurdle? Nothing made easy and the finish line always seeming so far away, but we hung in and did it. Thank you for such a great post. Well, I have been reading Beth’s blog for a while now and I can’t wait for her book to come out. I know it will be well written, honest and above all helpful to others. Persistence through the process is good advice for anything we must tackle or want to achieve. Good luck with the proposal, finding an agent and ultimately a publisher, Beth! Might I recommend investigating e-readers? Electronic self-publishing is a lot easier, and you maintain a lot more control. Well done, and do keep on going! It’s amazing when you finish this journey, and then you begin to realize that the rest of it — getting it published, etc. — is a different kind of journey altogether, and most definitely the less crucial one. But since you’ve already learned persistence, you’ll have exactly what you need for that secondary process, too! Thanks for such a supportive comment Kathi which speaks not just to Beth, but to so many of us. I love the Flannery O’Connor quote – I don’t think I’ve heard it before, but it is so true of my own writing here. Congrats Beth on pushing through the hardest of times and succeeding! I love the conversation here too, especially the quote from Thomas Edison and the poem. And I agree that it is often when things look their worse that they are about to turn around, we just have to stick with it and persevere and hold on a little longer to see all our hard work come to fruition. Persistence is a survivorship quality, and you have oodles of it. Seven years ago I was diagnosed with breast cancer in one breast, but wanted both breasts removed. A legion of doctors and surgeons refused because the good breast was a “perfectly viable organ.” Because my firm date to begin chemo was drawing near, I relinquished and only had the one mastectomy. Four years later, when I discovered I was BRCA2+, I finally got my prophylactic mastectomy of the other breast. Many of my friends thought I should be angry that I wasn’t allowed to have both breasts removed in the first place, but I’m not one to dwell on “what might have beens.” I am one to celebrate much needed books like yours, Beth. Bravo to you. Congratulations, Beth! This is so exciting. I wish you the absolute best in finding an agent and a publisher. Your story sooo needs to be told. Writing a book indeed makes the author vulnerable. Someone who read my book said she was surprised that I shared such private, intimate details about my life in such a public forum as a book. But what else could I do in sharing my challenges with breast cancer and its effects on my life? Jan, it’s great to have you share your perspective as a published author – thank you! Oh my gosh, thank you all for your outpouring of support! It is, indeed, a very exciting venture, although scary at times. Beatrice, you quoted my favorite poem, “Don’t Quit,” which my dad gave to me in junior high. Also, an e-book has been on my mind, and I am strongly considering it. Thank you all once again for your encouraging words. They are priceless!